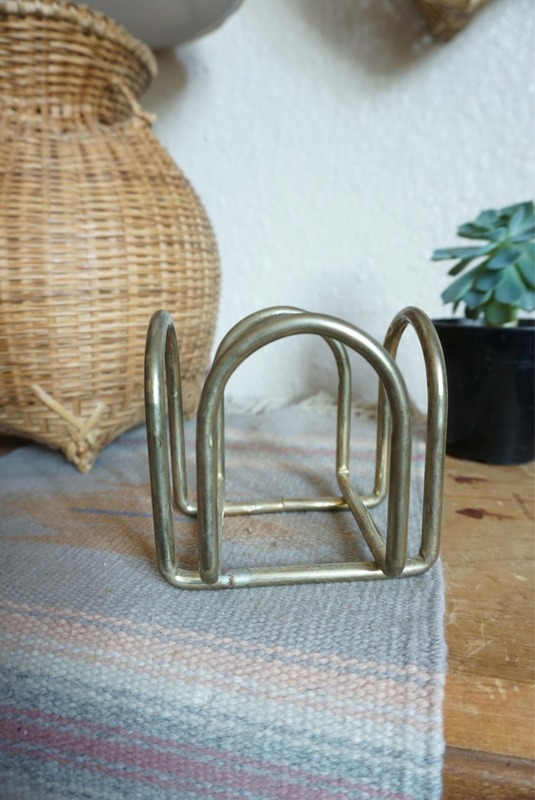 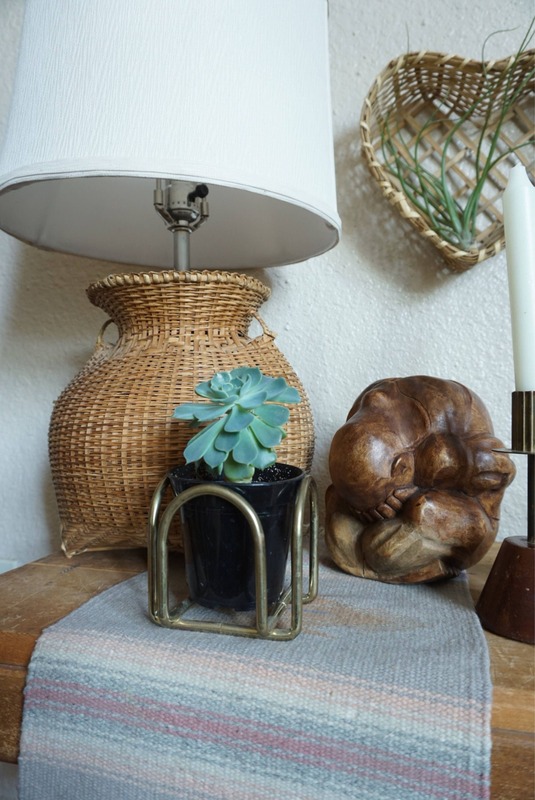 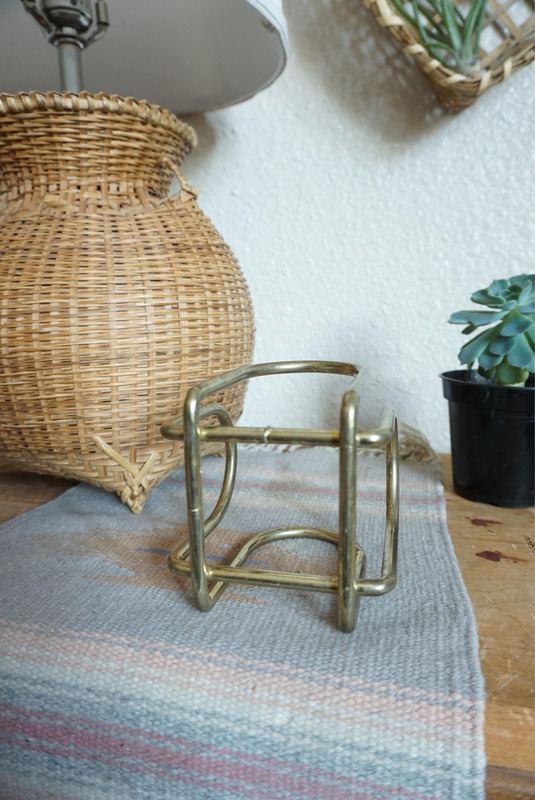 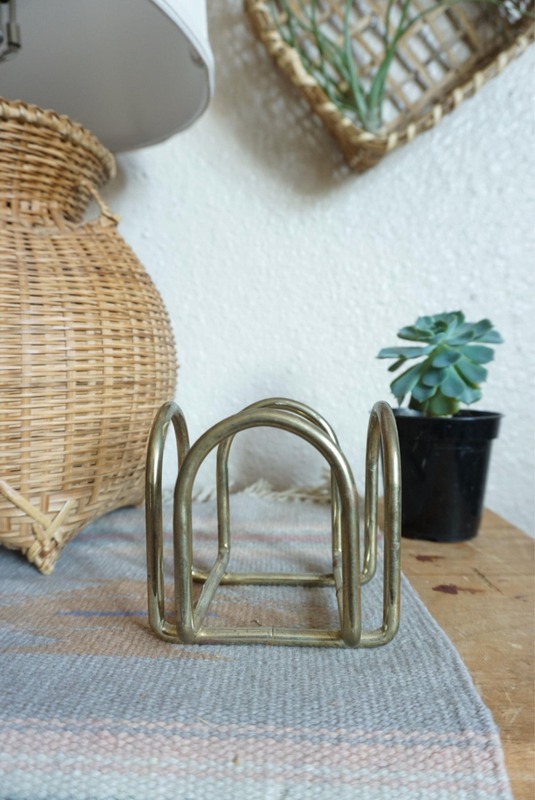 Cube shaped mixed brass frame or holder. 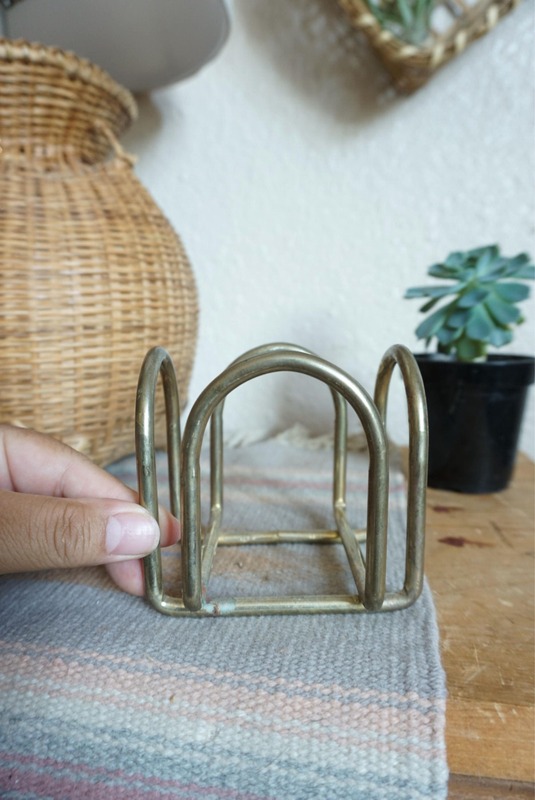 Can be used for a variety of things, such as a cup holder, planter, etc. 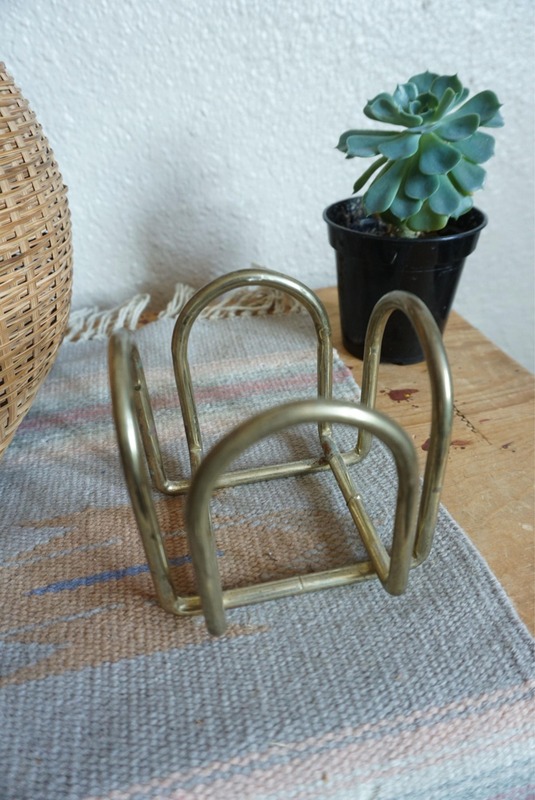 Vintage condition with some tarnish and patina.